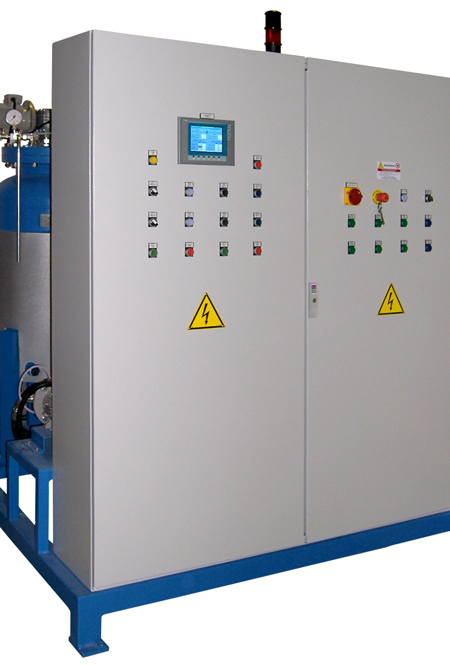 The MGP2 plant is designed with a modular criterion combining the storage, dosing and automation for the product supply. The plant layout is studied to meet the specific customer’s requirements considering the field of use and the type of raw materials used. MGP2 permits the supply of: adhesives, rigid and flexible foams. 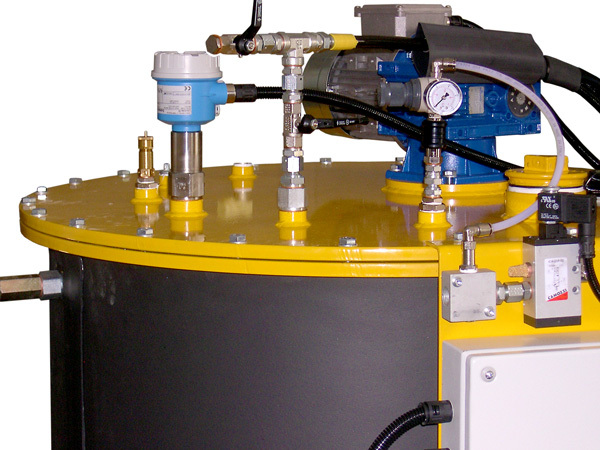 On the basis of the model, the equipment doses, mixes and supplies to medium pressure the material, using self-cleaning mixing heads or washing type. 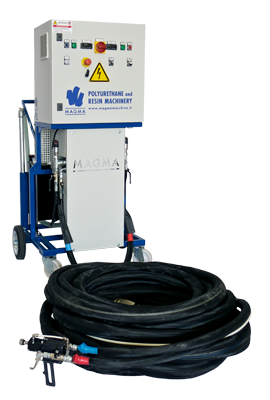 Magma Macchine directly trains the equipment staff for the use and maintenance transferring the necessary know-how. 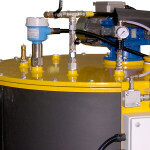 The AMG is the standard mixing head  assembled on the plant; it is of the air self-cleaning type, with the possibility to use liquids for the washing of the mixing chamber. Using special adapters, it is possible to supply the products by spraying and by casting, using, in this case, a dismountable multi-holes sprinkler. 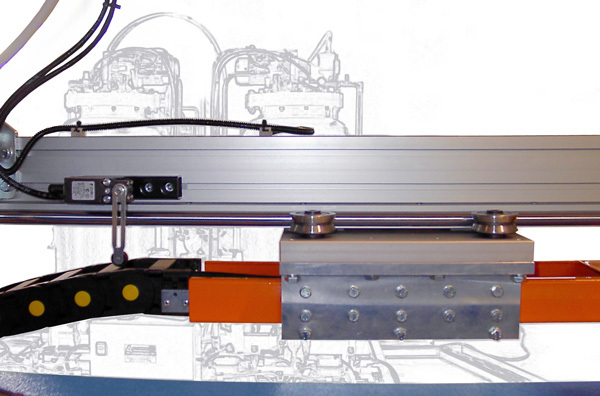 The mixing head opening/closing system is of pneumatic type automatically controlled by prefixed sequences. 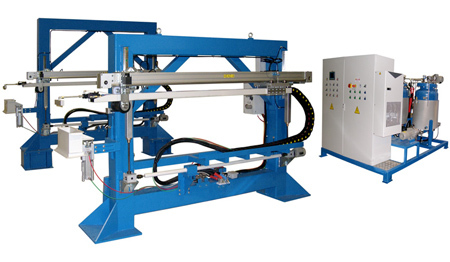 The mixing chamber and its relevant block with seals are easy replaceable since they are fixed to the head body by a bayonet system; this permits the maintenance reducing at minimum the machine stops during working. 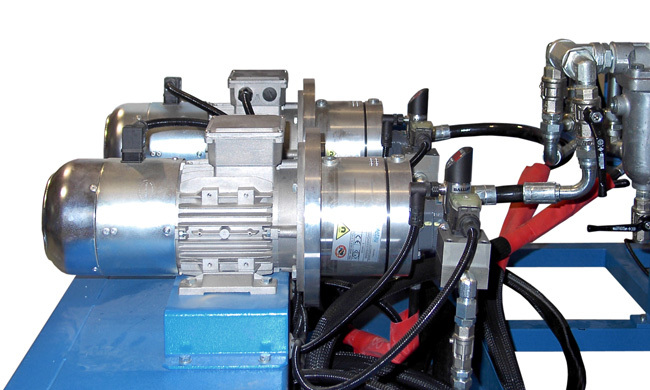 The volumetric gear pumps  are with medium pressure managed by electric motors; the output flow and ratio are controlled by flowmeters in line. 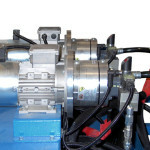 For particular applications are used pumps with special hardened treatment to work with very filled materials. 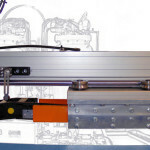 The control panel contains all the devices necessary to stop the running of the machine in case of anomalies and protect the machine and the operator. 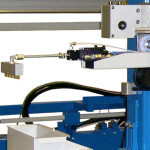 By means of the touch-screen operator’s panel , it is possible to manage the working parameters and overall control. 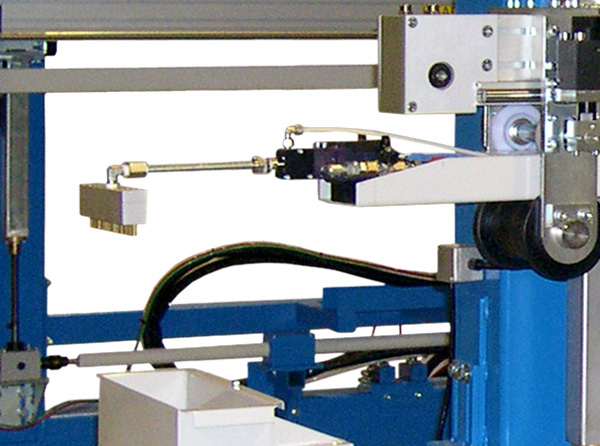 On the plant is installed a dedicated software for the application on continuous lines with the control of the parameters: “output flow according to the line speed and grams for m²”. 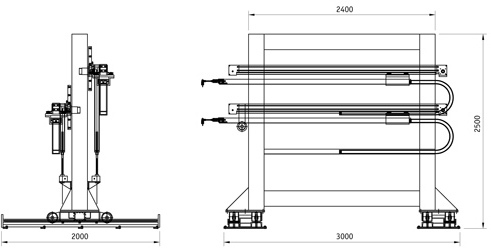 The movement of the mixing head is done by linear guides , double or independents according to the line requests. The department tanks  keep the running temperature by a heating system (cooling on demand) and stir. 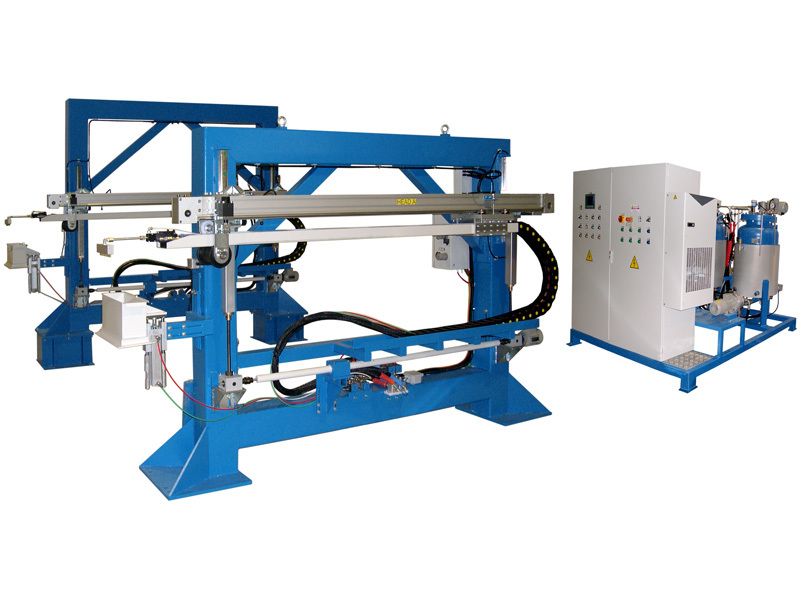 The heating of the components on the machine is permitted by the recirculation on the head; for the hoses is used a low voltage electric system. 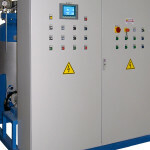 On the electrical panel are installed all the devices to manage the temperatures of each component.